We report the synthesis of core–shell CdSe/ZnS, CdSe/CdS, CdSe/CdS/ZnS nanoparticles. 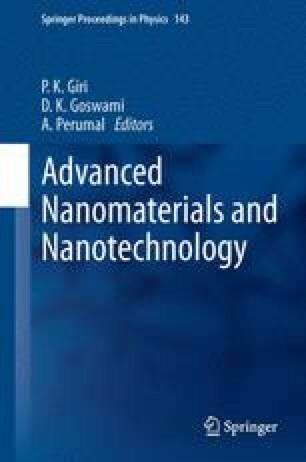 Fluorescent properties of these core/shell nanoparticles depends on the type of ions present on the surface of nanoparticles; a cation-rich surface enhances the emission intensity, while an anion-rich surface leads to deterioration of the fluorescence signal. We used this phenomenon for the synthesis of fluorescent and non-fluorescent quantum dots. We synthesized CdSe/S in which the fluorescence emission is completely quenched, and CdSe/S/Cd and CdSe/S/Zn type of core–shell nanoparticles, which exhibit high fluorescence emission. Although various fluorescence sensors for metal cations based on nanoparticles were previously developed, to the best of our knowledge we first explored the potential application of non-fluorescent quantum dots for the detection of cadmium and zinc in organic medium. We are thankful to Dr. Pramit Chowdhury for help with the absorption measurements. SS acknowledges DST for the SERC-FAST Track scheme, and US and VA are thankful to CSIR for their SRF fellowship. We are also thankful to Nano Science Unit of NSTI, DST for TEM facility in IIT Delhi.